Four bodies, each with a single bullet wound in the back of the head, stacked like cordwood in a weed-choked vacant lot: Thats the front-page news facing Carter Ross, investigative reporter with the Newark Eagle-Examiner. Immediately dispatched to the scene, Carter learns that the four victims—an exotic dancer, a drug dealer, a hustler, and a mama's boy—came from different parts of the city and didn't seem to know one another. The police, eager to calm jittery residents, leak a theory that the murders are revenge for a bar stickup, and Carter's paper, hungry for a scoop, hastily prints it. Carter doesn't come from the streets, but he understands a thing or two about Newark's neighborhoods. And he knows there are no quick answers when dealing with a crime like this. Determined to uncover the true story, he enlists the aide of Tina Thompson, the paper's smoking-hot city editor, to run interference at the office; Tommy Hernandez, the paper's gay Cuban intern, to help him with legwork on the streets; and Tynesha Dales, a local stripper, to take him to Newark's underside. It turns out that the four victims have one connection after all, and this knowledge will put Carter on the path of one very ambitious killer. 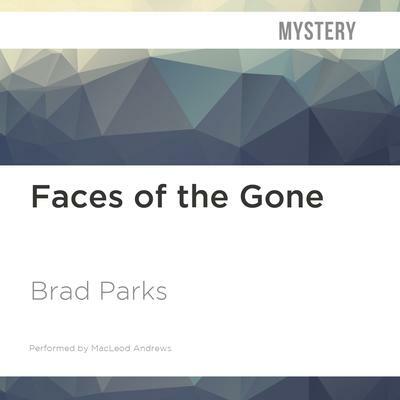 Faces of the Gone is a Nero Award Finalist and has been named to lists of the year's best mystery debuts by the Chicago Sun-Times and South Florida Sun-Sentinel. Treading the same literary turf as Harlan Coben, and writing with a fresh Jersey voice, Brad Parks makes an energetic, impressive debut. 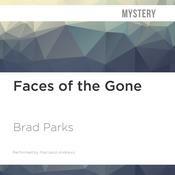 Brad Parks is the first author to win the Shamus Award, Nero Award, and Leftie Award for Best American Mystery for his debut novel, Faces of the Gone. He is a former reporter for the Washington Post and the Newark Star-Ledger.